That statement was brought back to the forefront of our consciousness by Ronald Reagan in the 1980’s but has been used for centuries according to the annals of history. It is believed that it was spoken by Roman Emperor Hadrian in the 1st century. Hadrian is reportedly to have said, “Peace through strength, or failing that peace through threat.” Others have used it through recorded history. 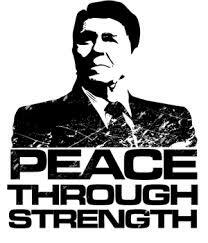 The idea of ‘peace through strength’ was a principle I learned in elementary school and discovered that to avoid being bullied or intimidated you had to demonstrate a show of force or strength. If you were successful the bullying and intimidation ceased to exist and you had peace. In the military this was once again brought to immediate awareness in boot camp where a group of guys from New York thinking they could intimidate the rest of us and bully their way into getting what they wanted had to be confronted. A few guys from Pennsylvania, Tennessee, and Texas joined me in meeting this challenge head on and although there was a little physical altercation the peace immediately ensued after their leader was knocked unconscious. We did not want to fight but we were not going to be bullied so STRENGTH allowed us to negotiate or demand PEACE. I have seen this principle many times in life and while it is not always about physical strength it is STRENGTH. 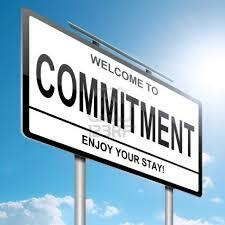 You NEVER attempt to negotiate from a position of weakness if you expect to achieve anything lasting and worthwhile. As I reflect back on some of the most recent presidential administrations I find that most of them were able to present the idea that American Strength would be a force to be reckoned with if there were hostilities or aggression and for the most part it was effective. That changed somewhat with 9/11 but we still stood as a threat to the aggressors around the globe and people ‘feared’ the American military might and our resolve to use it. That was not the case under Jimmy Carter as was demonstrated in the Iranian Crisis and the hostages. That changed with the election of Ronald Reagan and it is my conviction that the Iranian government fully believed that President Reagan would use force if necessary and backed down. Peace was maintained during the Cold War because of STRENGTH not because of weakness, lack of resolve, and mealy mouthed rhetoric. If you attempt to negotiate from weakness you had better be one exceptional negotiator or you will lose every time. Today we have the double edged sword of the perceived weakness of the current occupant of the White House and a belief by most of the world that we are incapable of doing what needs to be done militarily. That view is shared by some of our commanding leaders in the military and the Pentagon. Our military has been systematically decimated and diminished to the point that we may not be able to handle a single front conflict and most assuredly would be severely strained and stretched to go to two fronts. We are no longer considered STRONG by those who would do us harm. They view the mealy mouthed rhetoric of this administration as a sign of weakness and have watched as we in America the dismantling of our military machine. Both are indicators of the seriousness of our situation and the danger around the globe for America. Barack Obama, John Kerry, the Secretary of Defense, the Department of Justice, and Hillary Clinton all have demonstrated disdain for our military and thereby reduced us to ‘talk’ with no ‘walk’ to back it up. That is not saying our military could not it is saying those in power WILL NOT. America is no longer ‘feared’ but we are still ‘hated’. When you have people in the highest positions of power who do not believe that America or any nation has any moral authority to stand for right and resist tyranny, terrorism, and despotism you have a situation where only bad things can ensue. Mr. Putin in Russia, North Korea, China, and the Islamic States have no fear or respect for the American president and do not believe we as a people have the resolve nor does our military powers still rise to the level of being a direct and imminent threat should they act, thus you see aggression like never before. It will not get better UNLESS and UNTIL we reverse course and restore the STRENGTH that will bring PEACE for our people. Again let me reiterate I believe in our military but not our leaders. I believe in the American military might but not the political leaders in Washington and the so-called leaders in DC negate the might of our military because they will not allow our forces to do what they are trained and capable of doing! That is the disastrous and dangerous part! Having worked in situations, competed in athletics, ventured into business, and been in combat I would suggest that none of those even remotely compare to today’s politics. As I watch the antics of politicians in Congress and the White House it often reminds me of ‘professional wrestling’ or as they called it back home ‘rasslin’. We were aware that frequently the opponents arrived at the arena in the same vehicle, played mortal enemies, left the arena to have a beer with their buds, counted the money, laughed at the crowd and planned the next event. One would have thought that they were mortal enemies during the match and many are shocked to learn it was all a ‘show’ and some still deny and are true believers. In anything I have ever done, including the ministry, I did not find it a normal thing to hang out with people who publicly denigrated me and what I stood for. I did seek to have forgiveness in my heart and treat them civilly but to go golfing, out to eat, or to visit their homes. That was not on my ‘to do list’. When the President and the Democrats call Republicans a greater threat than Al Qaeda, hostage takers, haters, racist, and revile them so completely and vehemently how can the Republicans then find it palatable to go out to dinner with them, laugh, joke, share stories, and golf, etc.? HOW? I can answer that without needing ‘rocket science’ levels of intelligence – They share the same vision and goal – POWER! They envision themselves the rightful owners of America and see their position as one that affords and entitles them to RULE while exempting themselves and their cronies from the repercussions of the edicts they enact. In a very real sense they are ‘entertainers’ on the stage of politics and we are the dolts who watch mesmerized by their oratory and wisdom (sic) because they are the Elite and we are then Uninformed. They are the ones destined to rule and we are the ones needing to be ruled over, at least in their view. I have no doubt that our Founding Fathers understood the problem with Party Politics and many of them warned us of the danger but alas even some of their ranks fell into the trap of embracing. Some of that was done, in my view, to try to protect the nation but was done so with a mistaken interpretation of the climate of society and what the result would be. Power hungry people and groups will always seek to CONTROL and those in Washington, DC are no different. They are flawed human beings who have been afforded some power and thus the insatiable thirst for more and more surfaces very shortly after an individual tastes the perks of power in Washington. 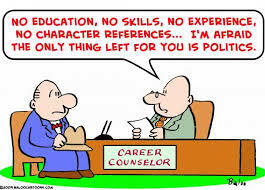 If politics were not so serious it would be an entertaining comedy but it is far too serious for laughter. When those elected officials have the power to completely transform our world, socially, economically, medically, financially, and politically we dare not become amused and must become engaged. As Benjamin Franklin declared we have a “Republic if we can keep it.” The questions today are, “can we and will we?” How much is the Republic worth to you? How dear is your Freedom and Liberty? How much are you willing to tolerate from the Political Ruling Class that has emerged over the past century? When will we the people say ENOUGH? You can blame the Republicans and exempt the Democrats over the so-called gridlock in Congress but when the Democrats shut the Republicans out of the room, refuse to negotiate, and call them a greater threat than Al Qaeda would you expect the Republicans to just comply? NO! But too frequently they just cave and concede only to have the Democrats use their concession against them further illustrating the illusion of bipartisanship. All this creates a situation in Washington that more resembles Professional Wrestling, as seen on TV, than it does serious political activity. God help us if we don’t wake up and take all necessary steps to reclaim our government and once again make it a government ‘of’ the people, ‘for’ the people, and ‘by’ the people! 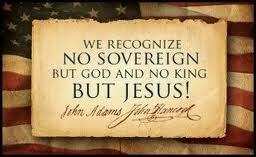 May God be with us and may God bless America! CHECK YOUR BRAIN AT THE DOOR AND GET YOUR WARM AND FUZZY…. Courtesy of the White House, the Democrats, and the Leftist! That’s right if you are willing to ‘check your brain’ at the door you get your own special ‘warm and fuzzy’ to comfort you in these troubled times. Now what on earth could I be talking about? The list is too long to be exhaustive and it would be exhausting to review them all so let’s take just a handful of examples. I thought Jay Carney was one of the prime Kool-Aid drinkers, detached from reality, spokespersons of this day but the new White House Press Secretary Josh Ernest advised us that this administration was truly one of the most ‘transparent’ in history. Oh I agree they are transparent in their intent but not transparent in being forthcoming with regard to the scandals and information requested by Congress and others even through the ‘Open Records Act’. They stonewall, deceive, lie, and fabricate stories rather than simple release the documents and tell the truth. Transparent? Yep, but not in the way Mr. Ernest meant or did he mean it just that way! He also declared with a straight face that the world was ‘much more tranquil’ under Obama. WHERE? Tranquil? I must not know the definition of tranquil because the world I see is anything but what I would call tranquil but the Kool-Aid crowd cheers and applauds when that spin is spun and pick up their ‘warm and fuzzy’ drifting off into their fantasy land of fictional tranquility. Then Elizabeth Warren advised us that the ‘government shutdown’ was about ‘birth control’. It was the Republican’s war on women that prompted the shutdown and the primary focus was ‘birth control’. Really? You can’t make this stuff up! While I cannot believe they actually believe what they are saying, I do believe they believe we are too dumb, uninformed to know better and know the Media will run with their spin. Their belief in our gullibility seems to have no bounds. So once again, hearing that caused the Kool-Aid crowd to reach for their ‘warm and fuzzy’ and curl up in a fetal position nestling in the bosom of Big Brother feel safe and secure. 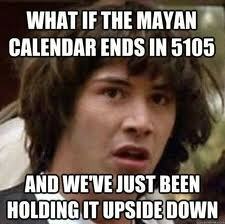 All is well with that revelation. Additionally Senator Harry Reid declared that IF we had passed “Comprehensive Immigration Reform” or AMNESTY we would not be having the Border situation because per Senator Reid everyone knows THE BORDER IS SECURE! Imagine that the ‘secure border’ is as porous as a sieve and people are flooding across including ‘gang members’, ‘criminals’, ‘terrorist’, and ILLEGALS from nations in the Middle East and around the world. In fact, a former Deputy Chief of the Border Patrol advised that 1 in 5 have criminal records and many violent crimes but they are welcomed with open arms by this administration. The morale of the Border Patrol is at an all-time low. I wonder why? But check your brain and pick up your ‘warm and fuzzy’ because Dingy Harry has issued his assessment of the situation and since the infamous leader of the Senate has spoken, the President has used his ‘pen and phone’, Nancy Pelosi has deemed this America’s opportunity we can take our ‘warm and fuzzy’ and be so secure. 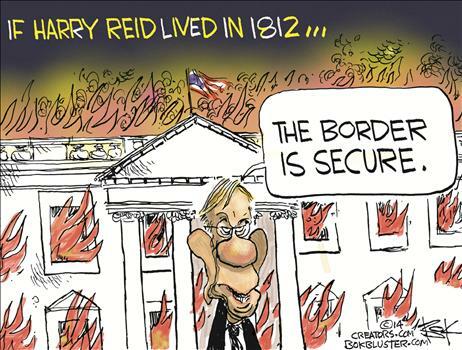 Our borders are being erased and along with that our national sovereignty. Those coming in are now a drain on our economic system and will help facilitate its total collapse with the litigations, health care issues, housing, and jobs or joblessness. We have opened ourselves up for something far worse than 9/11 and I dare say that not only could the terrorist walk a ‘suitcase nuke’ across the border they might be able to transport a full blown nuke in our current situation (my brother made that statement recently). But, drink the Kool-Aid, check your brain at the door and get your warm and fuzzy because the ‘fundamental transformation’ and ‘remaking’ of America is speeding down the track at the speed of light. 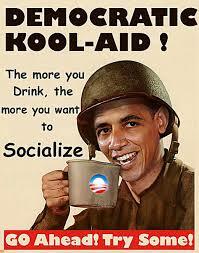 Mr. Holder said of those of us who say, “I want my country back” we are using racist code. Never mind that’s what the Democrats said when George W. Bush was president but now if we say it we are racist. Again, your ‘warm and fuzzy’ is waiting for you and all you have to do to receive it is ‘check your brain’ at the door. Now don’t you fell all better? May God help us and may He bless you and America! Maybe it is just me but have you noticed that the current occupant of the Oval Office seems to operate as though he were King of the United States of America not President of the United States of America. In America we have a ‘three branch’ system of government or we are supposed to according to the United States Constitution ratified by the States. However when the sitting president declares, “I have a pen and a phone” and “I am president I can do what I want” one realizes that the Constitution, Congress, Courts, and Constituents are meaningless to this individual and that is a Constitutional problem of epic proportions. In the United States Constitution the first three articles outline the three branches of our government and list the powers and limitations they are supposed to adhere. 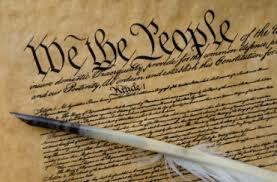 Article II outlines the duties of the Executive Branch. Mr. Obama who claims to be a Constitutional Law Professor should go back and read this once more for he surely has forgotten the limitations. The United States President is elected to a four-year term by the electors from each state plus the District of Columbia. This is called the ‘electoral college’ and is comprised of 538 electors or a number equal to the number of Representatives and Senators in Congress. The citizens of each state vote for a slate of electors who vote for the president on the date established by Congress. In order to become president the requirements are specific. He/she must be a ‘natural born’ citizen not ‘naturalized’. He/she must be 35 years of age or older. Amendment XXII placed a two-term limit on the office of president. Not rocket science and something every child in junior high should know. The President is Commander-in-Chief of the armed forces and has the power to call into service the state units of the National Guard, and in times of emergency may be given the power by Congress to manage national security or the economy. He/she has the power to make treaties with Senate approval. 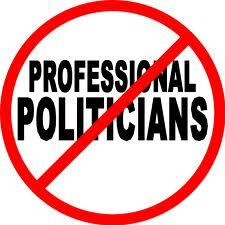 He/she is responsible for nominating the heads of governmental departments with Senate approval. He/she also nominates federal judges and the justices of the Supreme Court, again with Senate approval. He/she can issue pardons for federal offenses, can convene Congress for special sessions, can veto legislation approved by Congress. It is a limited veto not a line-item veto and a veto can be overridden by a two-thirds vote of Congress. The President is to deliver a State of the Union address annually to a joint session of Congress. Congress holds the power to declare war yet he/she can send troops to battle without an official declaration of war. In 1973 the War Powers Act sought to define when and how the president could send troops into battle by adding very strict time frames for reporting to Congress ‘after’ sending troops into battle. Executive Orders are supposed to be for ‘times of emergency’ not the whim of the president. This has become so limitless that it virtually relegates Congress to a meaningless status and elevates the president to an imperial level. Executive Orders have been abused by almost every president in the past and evolved to the place that Mr. Obama’s statement, “I have a pen and a phone” are a revelation of the Imperial Tyrannical Power of the President. Congress could and should take steps to bring this in check but they are not likely to do so. The Democrats enjoy the current power of this action and Republicans envision a time when they will regain power and want it protected for their use. Both, in that sense, are disregarding the Constitution and the responsibilities and duties of Congress to serve as a ‘check and balance’ to the other two branches of government. 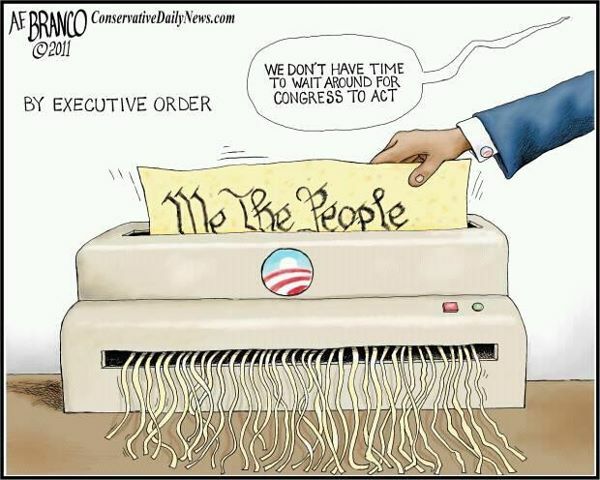 It is appalling to watch the Constitution so thoroughly shredded by action or inaction in Washington. I do not wonder what our Founding Fathers would think I believe the existence of the Constitution and Bill of Rights as well as the volumes of quotes and expressions from them tell us they would consider our current state akin to the situation which brought about the initial America Revolution. They would DEMAND the president ‘cease and desist’ and that Congress immediately take the Constitutional steps to insure that this never happens again. Of course, our current legislators and president see it differently and only as WE THE PEOPLE get their attention is there hope! I am convinced that this administration encourages if they do not create many of the ‘conspiracy theories’ that swirl around this president. I find it very sad and disheartening that so many of the bad reports, conspiracy theories that are associated with this administration are believable and it troubles me that I have come to expect the worst from this man and his administration. I do not like feeling that way regarding anyone and especially someone who occupies the office of President of the United States. Sadly, so many of the ‘conspiracy theories’ have enough plausibility in them that one could actually envision how they could be true and some are. I would put absolutely nothing past this administration or the leftist in Washington, especially those who are married to the Alynsky model of politics where ‘the end justifies the means.’ Those following the Cloward-Piven Strategy and those who are aligned with the Fabian Socialist! THEY ARE DANGEROUS! So often, as has happened in the past, a ‘Wag the Dog’ type scenario emerges where something is precipitated to divert the attention away from the actual issue and do an end run around the constitution, congress, courts, and constituents. Chris Matthews may get a tingle down his leg when he is with Mr. Obama but I feel something quite differently when hearing him speak, reading his declarations, or watching his actions. It is not a warm fuzzy that I feel but a sick feeling in the pit of my stomach realizing that we have just seen one more nail driven in the coffin of the republic and taken one more step toward the ‘fundamental transformation’ of America. They (this administration and the leftist) want ‘conspiracy theories’ because they distract and are useful in discrediting the opposition. They use the most ludicrous of them to laugh at and cause people to cease hearing the opponents as they become labeled ‘kooks’. They want the ‘conspiracy theories’ because having them swirl around keeps this administration from having to be accountable as attention is diverted and there is ammunition to hurl at his opponents calling them bigots, racist, haters, and even terrorist. It gives them a venue to hide what is really happening and avoid having to come clean to the American people. Bill Clinton was astute at using ‘Wag the Dog’. Other presidents have been guilty as well and Mr. Obama has pressed this to a level that must make Mr. Clinton green with envy especially in how well they have worked for him and NO ONE is challenging him. The Republicans in Congress and the National Party Leaders give lip service to push back but put no teeth in their criticism. The Democrats are, for the most part, in lock-step with his ideology and refuse to even consider the possibility of unconstitutional activity on the part of the administration. However, many are running away from him as the mid-terms approach but if reelected they will join ranks again quickly and shed their image of being centrist or conservative. 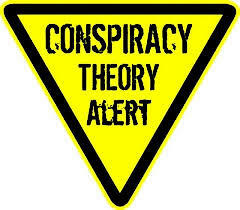 Yes, ‘conspiracy theories’ are a useful tool used by politicians and have been used in various venues for a long time. It is a means to incite anger, stir up the voting base draw sympathy from the public over the perceived abuse and unfairness of the conspiracy. Sadly, millions are sucked into this scam and sham and if it is written in the newspaper, broadcast on television, and proclaimed by the administration it must be the Gospel and they buy it hook-line-and-sinker. THINK, OBSERVE, EXAMINE and find the truth. It is there for you if you are willing to be open minded and actually ‘fact-check’. Proper vetting of people who want to be elected and those wanting to be appointed to political positions or positions of power and influence is MANDATORY if we are to maintain a Free Republic. America it is up to us! 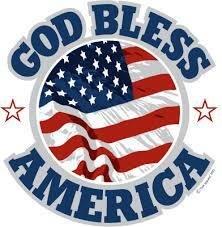 May God be with you and may God bless America! 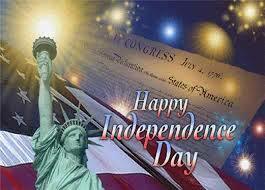 Happy Independence Day Everyone! As I reflect back on this day in which we celebrate here in America I reflect back on the conditions and events that led up to this bold document and subsequent revolutionary war that gave us the United States of America as described in our Constitution and desired by our founding fathers. It was June 6, 1776 that Richard Henry Lee introduced into Congress a resolution that would be accepted on July 2, 1776 which declared that the United Colonies are, and of right ought to be free and independent States. A committed was formed which included John Adams, Benjamin Franklin, Thomas Jefferson, Robert R. Livingston, and Roger Sherman to draft a DECLARATION OF INDEPENDENCE. The committee came to a decision as to what the Declaration should include and commissioned Jefferson to actually write it. The draft was presented to Congress on June 28, 1776 and adopted on July 2, 1776 with a formal parchment copy was adopted on July 4, 1776 and made available for signing on August 2, 1776. As you can see there were a number of possible dates that could have been assigned as Independence Day and John Adams thought July 2nd would be that day. How we arrived at the specific day is not as important to me as the fact of the Declaration of Independence and America. They made a DECLARATION of Independence because they saw no other course of action in which they could either gain FREEDOM and LIBERTY or they would face the ultimate fate as Patrick Henry famously declared – “Give Me Liberty or Give Me Death!” I believe that to accomplish things in life there needs to be a DECLARATION which is the catalyst to propel us into action. They made a COMMITMENT to securing or attempting to secure that INDEPENDENCE and knew full well that they were committing their all to the cause. Their unshakable and total commitment was required to sell the idea to the citizens, enlist help from outside powers, and take the necessary steps to engage their overlords in a conflict that would shape the world. They had a RESOLVE to see it through to the conclusion and felt no sacrifice was too much to gain this ultimate prize. We saw that in the War of 1812, World Wars I & II. It began to wane in Korea, Vietnam, and fast forward to the present and I see no clear DECLARATION being made by our leaders other than to ‘fundamentally transform America’. I see no COMMITMENT on the part of our national leaders or in much of the local communities to the cause of LIBERTY, FREEDOM, and SAVING THE REPUBLIC. Therefore without the DECLARATION, the COMMITMENT to the cause, there can be no RESOLVE that will endure to the end to secure the desired objective. I want to express my appreciation to all my brothers and sisters who have and are serving in the military. 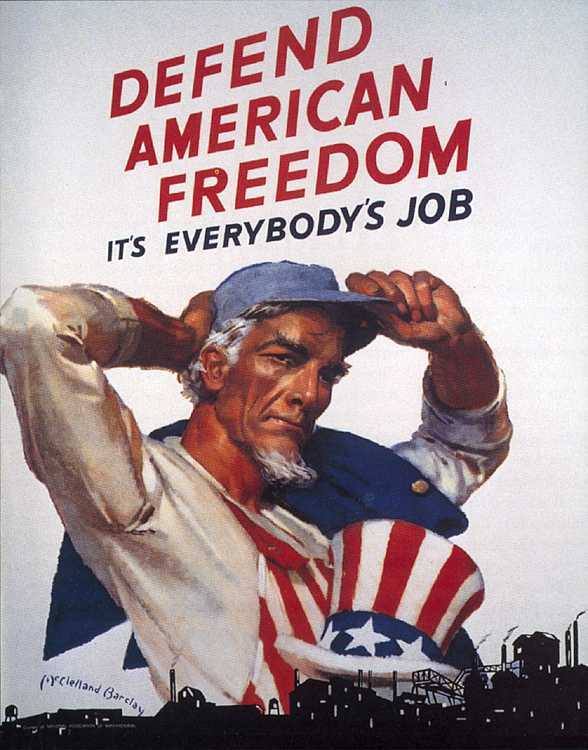 Without your efforts we would not be enjoying the Republic called the United States of America or the Freedom that it has afforded in recognizing our ‘unalienable rights’. 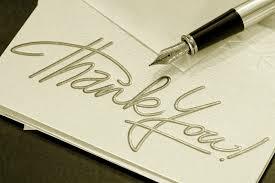 I want to thank each true patriot who tirelessly works to preserve what we have and restore the Republic to its Constitutional place. I want to thank each one who is praying and has prayed for this nation without your efforts I shudder to think of where we might be. I declare on this Independence Day that I am Committed to the cause of the Republic and have the Resolve to do what is required. 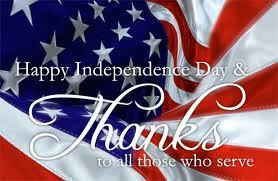 May God bless you and may God bless America!